Before qualifying, as a Barrister, Andrew has 6 years advocacy experience, as a Solicitor. Andrew has worked for a number of leading Legal 500 firms specialising in RTA fraud, including Keoghs LLP and Weightmans LLP, acting for some of the leading insurance companies in the UK. Andrew has also worked for a number of leading claimant personal injury and credit hire law firms, acting for some of the largest credit hire companies in the UK. 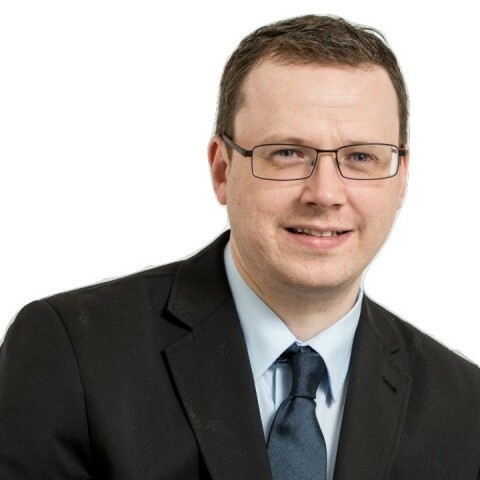 Previously, Andrew was the Head of Litigation and In House Solicitor Advocate at a claimant personal injury and credit hire firm, with over 50 staff, and Andrew brings this vast experience, as a Solicitor, to the Bar. Andrew is a Member of the Personal Injuries Bar Association and Association of Personal Injury Lawyers. "Many thanks for your time yesterday and today" - Partner, medium Personal Injury practice, Manchester, April 2012, following conference and advice to settle Multi-Track claim where fraud alleged. "Happy with the service so far. Keep up the good work" - Costs Manager, large Personal Injury Practice, Merseyside, June 2012, following written Advice for Fast Track RTA where fraud alleged. "Good Job, Thank you" - Partner, small Personal Injury practice, Cheshire, June 2012, after successful Application to allocate Credit Hire claim to Fast Track. All types of interlocutory hearings including case management conferences, allocation hearings, pre-trial reviews and applications. Multi track, fast track and small claims track, trials and disposal hearings. All types of written advice and pleadings. Claims under the Occupiers Liability 1957 and 1984. Advice on indemnity under the Road Traffic Act 1988. Andrew also undertakes allegations of fraud work on a private basis. All types of employers liability claims. Travel litigation including Advice as to whether the 1992 Package Travel Regulations are applicable. Quantum advices with a specialism as to heads of loss in food poisoning cases and loss of enjoyment. Advice as to breach of duty in relation to accidents abroad and food poisoning cases. Claims under the Montreal convention and advice in relation to accidents on planes. Standard of care abroad and accidents in foreign hotels including slips, trips and falls. Accidents at Sea and Cruise Ship Claims under the Athens Convention. Accidents on tour operator excursions. Claims under the 1992 Package Travel Regulations. Advice on quantum and causation for all types of travel claims. Costs advice in relation to travel claims. Claims under the Landlord and Tenant Act 1985. Claims under the Defective Premises Act 1972. Advice on housing disrepair, liability, causation and quantum. Advice on cavity wall claims, liability, causation and quantum. Personal Injury claims attached to cases of damp or mould. Drafting pleadings in relation to cavity wall and housing disrepair claims. Costs, including summary assessment and detailed assessment hearings. February 2012 Fully Qualified Barrister. July 2011 - Called to the Bar at Lincolns Inn. May 2011- BBP Law, London - Bar Transfer Test. 2004-2005 Diploma In Legal Practice (Legal Practice Course), The College of Law, York. 2001-2004, LLB (Hons) Law / Criminology, University of Keele. Why instruct Andrew and what makes him different from other counsel? Andrew is a former solicitor and understands the service that solicitors expect, when instructing counsel. In particular, Andrew understands the importance of protecting the solicitor's costs position. Andrew prides himself in offering a friendly and approachable service. Andrew is happy to provide his mobile number and direct access email, to fee earners, for any informal queries on cases, without the need for formal instructions. Andrew will always endeavour to return all papers within 14 days and adopts a flexible approach to his work. Andrew is happy to accept urgent instructions, where the need arises. Andrew will fight cases aggressively for your clients, but with a commercial outlook. Andrew will always maintain a robust approach to litigation. Andrew will always put your clients first and will offer commercially sound advice. Andrew is happy to consider entering into a firm wide CFA, for bulk instructions. Andrew is happy to consider entering into a CFA on cases where other Chambers may charge you privately. Andrew is happy to attend your offices for conferences with clients, or conduct them by telephone. Andrew also offers a national advocacy service. "Thanks again [Andrew Mckie] for yesterday. Surprising, but pleasant, result. Don't be surprised if you start receiving a few more enquiries from my colleagues - Ive been asked a few times already "which Barrister did you use?" Just wanted to drop you (Andrew Mckie) an email on behalf of the department to say thanks for coming in yesterday. Everyone felt the training was really insightful! I am so glad you (Andrew Mckie) took the plunge and went to the Bar.You can never stop quality rising to the top!! Your (Andrew Mckie) advocacy was among the most detailed I have seen in my 15 years in the profession. Official feedback for Andrew Mckie from seminar: "Allegations of Fraud in RTA Claims - Litigation Tactics & Procedures for Claimants" held in Manchester on the 22nd October 2013. 38 people attended, 29 provided feedback, 24 were very satisifed, 5 were satisfied. Mr Sarfraz of Cartwrights said "Excellent Speaker". I must admit that Andrew Mckie is by far the best Barrister I have come across in my life. He has given a jaw breaking response to the other side, hats off to him. I would request and appreciate if we could use the services of Andrew on ALL of our cases please. Andrew [Mckie] provides straightforward, concise and strategic guidance and advice for the smooth running of suspected fraud and personal injury cases. His willingness and ability to travel and meet clients in conferences is highly beneficial and a real plus. a) Claimant and Defendant Personal Injury Fraud. b) OL PL and Defective Premises Claims. http://www.mblseminars.com/Speaker?SpeakerID=767 for information and booking details. Courses are run throughout the year. Outside of these key areas of law, Andrew Mckie (2011) is always willing to consider any enquiry requiring the experience or knowledge needed to help you or your client. Please call Andrew direct or the support team on 01823 247 247 if you would like to discuss any aspect of this profile. "There was a moment, just one, two weeks before Sir Rupert published his report, that this reviewer might have saved much of the profession engaged in personal injury law from the slough of despond that is sometimes said to have engulfed it. I was perambulating along the Strand, towards chambers, when I noticed the eminent pate of Lord Justice Jackson a few paces in front of me, rapidly approaching the pelican crossing on Arundel Street. I can only believe that he was so weighed by QOWCS that he looked the wrong way and went to step out, gamely, in front of a unstopping and unforgiving taxi. I grabbed his Lordship and pulled him back from a fate worse than costs budgetting, and the rest is history. I doubt whether the near-RTA episode lived long in Sir Rupert's fine mind, but, in contrast, Andrew Mckie's usefully little book should serve for many years as an aposite acolyte to RTA practitioners. It contains almost all the hallmarks of elegant practicality: it is up to date, easy to read, and assembled by an acknowledged master of his trade. There is both law and practice, regulation and precedent in its pages, presented in a manner that is both simple and effective. It should have a deserved place on the desks of those working in the field. The book is designed to be "dipped into" as the author said. It works well in that regard, although I read it through in one sitting and learned some new jurisprudence I would only have got through such a course. I would suggest that it is two hours well spent in any practitioner's weekend, train journey, or attempt to avoid the final of Bake Off. There is much to gain, and the breadth of Mckie's experience shines through. It is not without flaws: there is the odd (and rare) typo, the best of which invites practitioners to exercise causation rather than caution when dealing with partial admissions by insurers. Actually, exercising causation is probably what many a technical claims manager needs to brighten their day in central Cardiff, or Newport or Swansea. But my main criticism, if it can be so described, goes to the lack of an index and of a table of authorities. The book deserves a second edition in due course and I would invite the author and publisher to make it even more useful by the addition of these two facilitators. There is so much to access that would be made easier by rear end shunting an index into the work. Gordon Exall also reviews the book in his blog at the following link.